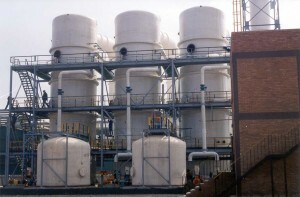 Fiberglass Tank & Pipe Institute serves to strengthen the commercial use of fiberglass piping. Our goal is to present an array of information on the fiberglass reinforced thermoset plastic industry and serve as a trusted forum for those who work with the corresponding products. Manufacturers, distributors, retailers, and the like are welcome here to keep up-to-date with standards, discover other companies and form partnerships, and so on. Together, we can sustain a marketplace of improved and innovative materials. Do you have a specific question about fiberglass piping? Are you looking for a new supplier? Maybe you want to make sure you’re installing correctly. Whatever the case may be, we hope this site at least leads you to your answer. Browse our pages on fiberglass solutions, check up on standards, and sift through our featured white papers. Our member companies are a good place to start. You can click over to their sites or contact them directly from ours. You’ll find complete lines of pipes and fittings. With their systems, even the most difficult project will be a prevailing installation. Our criteria ensure that each manufacturer provides top-quality fiberglass materials. They have the knowledge and experience you can depend on and the FRP products you can trust for any suitable application. The products are engineered according to individual plant specifications, not to mention industry accepted standards, and Fiberglass Tank & Pipe Institute’s strict guidelines, as well. Don’t overlook the advantages using fiberglass affords. If you know even a portion of the benefits, chances are there are more you haven’t even considered yet. Whether you work with aboveground tanks or underground systems, there’s most likely an opportunity to use fiberglass. Learn more today and start developing that competitive edge. We’ll be here to support your efforts, along with the rest of the fiberglass RTP community.